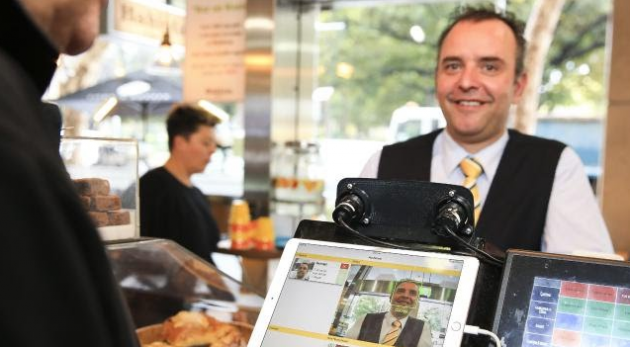 The faces of customers at Sydney's Bahista Cafe are scanned by an iPad as they approach the barista at the coffee machine. Instantly the customer's name, favourite order and whether they are due for a loyalty reward flashes up on another iPad facing staff. Customers can opt out if they want to. "We have a large sign at the point of sale which says we may record their biometric data for customer service and if they don't want to be part tell us and we won't put them in," he says. "We are very open and frank that we have this program." Bahista Cafe is one of a growing number of small businesses around Australia utilising facial recognition technology. Chris de Silva, global head of facial recognition at tech giant NEC, told NEC Australia's Advanced Recognition Systems Experience in October that facial recognition offers a new era of personalised service. "Face recognition has been around in some form for a number of years, but really it has only been in the last few years that it has taken on a strength that makes it very viable," de Silva says. "It can be used for authentication, identification and monitoring."